There's no single test for dementia. A diagnosis is based on a combination of assessments and tests. These may be done by a GP or a specialist at a memory clinic or hospital. This is usually done by a GP. If you're referred to a specialist, a more detailed history will be taken. It helps if someone who knows you well is also with you, as they can help describe any changes or problems they've noticed. 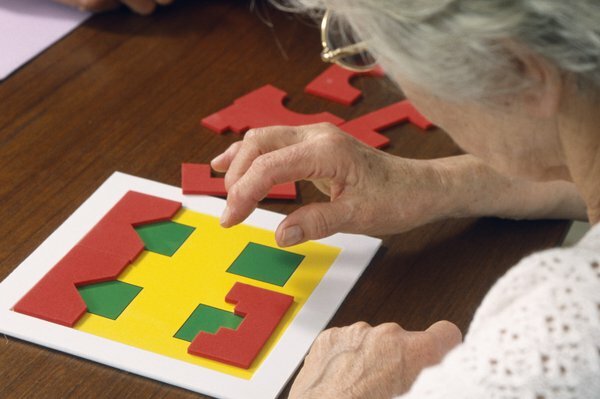 People with symptoms of dementia are given tests to check their mental abilities, such as memory or thinking. These tests are known as cognitive assessments, and may be done initially by a GP. There are several different tests. Probably the most common one used by GPs is the General Practitioner Assessment of Cognition (GPCOG). Although these tests can't diagnose dementia, they may show there are memory difficulties that need further investigation. Most tests involve a series of pen-and-paper tests and questions, each of which carries a score. It's important to remember that test scores may be influenced by a person's level of education. For example, someone who can't read or write very well may have a lower score, but they may not have dementia. Similarly, someone with a higher level of education may achieve a higher score, but still have dementia. Your GP will arrange for blood tests to help exclude other causes of symptoms that can be confused with dementia. If your doctor thinks you may have an infection, they may also ask you to do a urine test or other investigations. Read more about blood tests. Brain scans are often used for diagnosing dementia once the simpler tests have ruled out other problems. Like memory tests, on their own brain scans can't diagnose dementia, but are used as part of the wider assessment. Not everyone will need a brain scan, particularly if the tests and assessments show that dementia is a likely diagnosis. These scans may also be used to check for evidence of other possible problems that could explain a person's symptoms, such as a stroke or a brain tumour. A CT scan can be used to check for signs of stroke or a brain tumour. But it can't provide detailed information about the structure of the brain. Even if a brain scan doesn't show any obvious changes, this doesn't mean someone doesn't have dementia. Other types of scan, such as a SPECT scan or a PET scan, may be recommended if the result of your MRI or CT scan is uncertain. Most people won't need these types of scans, however. Both SPECT and PET scans look at how the brain functions, and can pick up abnormalities with the blood flow in the brain. If a specialist is worried that epilepsy may be causing the dementia symptoms, an EEG may be taken to record the brain's electrical signals (brain activity), but this is rare.